An analysis found that about 54,000 of the state’s more than 1 million residents 65 and older say they have worsening memory and confusion — and access to weapons. 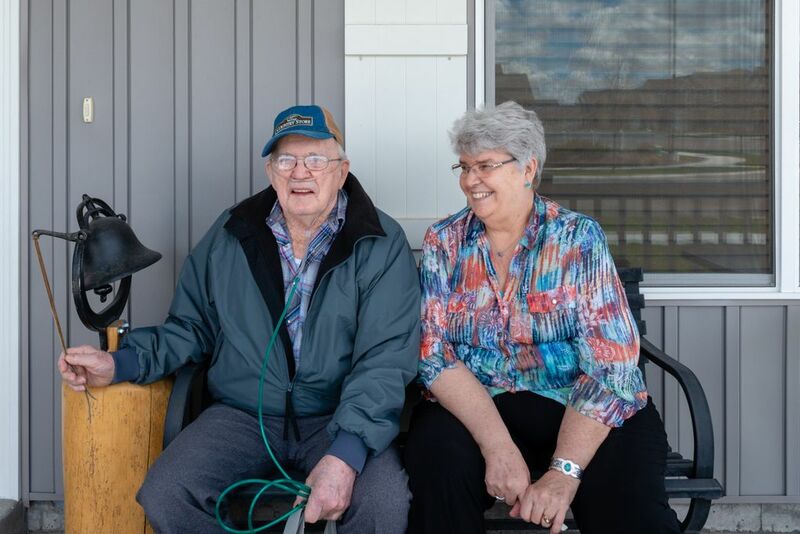 Less than 4 feet away, Hill’s husband, Darrell Hill, a former local police chief and two-term county sheriff, sat in his wheelchair with a discharged Glock handgun on the table in front of him, unaware he’d nearly killed his wife of almost 57 years. 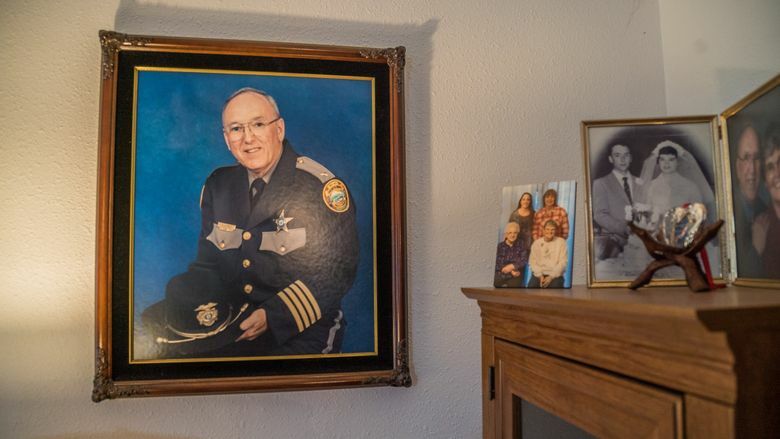 A portrait of Darrell Hill, who worked in law enforcement for nearly 50 years, hangs in the Hills’ home in The Dalles, Oregon. 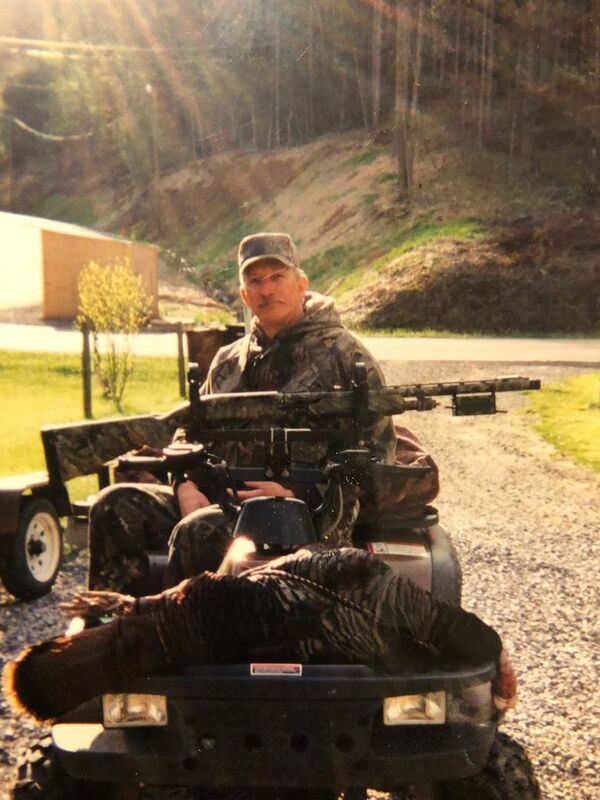 Darrell was diagnosed with a form of rapidly progressive dementia in 2013, two years before he accidentally shot his wife. A four-month Kaiser Health News (KHN) investigation has uncovered over 100 cases across the U.S. in which people with dementia used guns to kill or injure themselves or others. With partner PBS NewsHour, the report sheds new light on an aspect of guns and public health that is rarely discussed. From news reports, court records, hospital data and public death records, KHN found 15 homicides and more than 95 suicides since 2012, although there are likely many more. The shooters often acted during bouts of confusion, paranoia, delusion or aggression — common symptoms of dementia. They killed people closest to them — their caretaker, wife, son or daughter. They shot at people they happened to encounter — a postal worker, a police officer, a train conductor. At least four men with dementia who brandished guns were fatally shot by police. In cases where charges were brought, many assailants were deemed incompetent to stand trial. Many killed themselves. Among men in the U.S., the suicide rate is highest among those 65 and older; firearms are the most common method, according to the Centers for Disease Control and Prevention (CDC). An analysis of government-survey data in Washington state found that about 5 percent of respondents 65 and older reported both some cognitive decline and having firearms in their home. The assessment, conducted for KHN by a state epidemiologist, suggests that about 54,000 of the state’s more than 1 million residents 65 and older say they have worsening memory and confusion — and access to weapons. About 1.4 percent of those respondents 65 and older — representing about 15,000 people — reported both cognitive decline and that they stored their guns unlocked and loaded, according to data from the state’s 2016 Behavioral Risk Factor Surveillance System survey. Washington is the only state to track those dual trends, according to the CDC. Dee Hill had ignored her husband’s demands and sold Darrell’s car when it became too dangerous for him to drive. Guns were another matter. “He was just almost obsessive about seeing his guns,” Dee said. He worried that the weapons were dirty, that they weren’t being maintained. 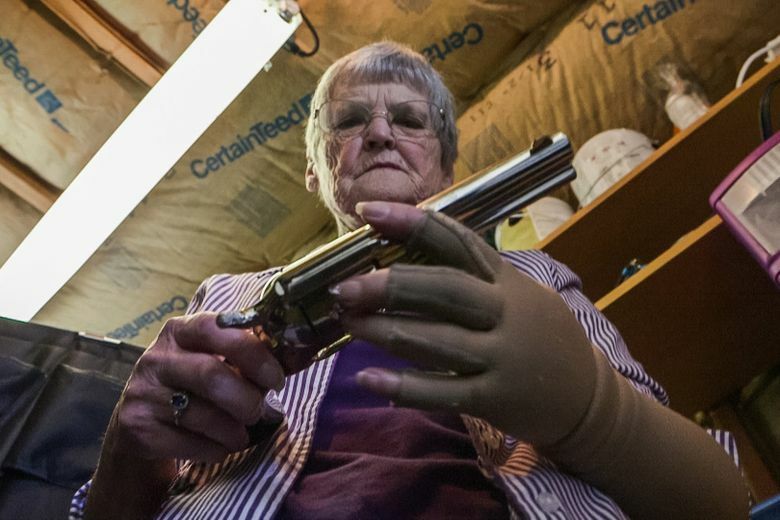 Though she’d locked them in a vault in the carport, she relented after Darrell had asked, repeatedly, to check on the guns he’d carried every day of his nearly 50-year law-enforcement career. Dee Hill locked her husband’s guns in a vault in the carport of their home after Darrell was diagnosed with dementia. The National Rifle Association (NRA) declined to comment for this story. Two decades of NRA-backed political pressure that quashed public-health research into the effects of gun violence partly explain the lack of data, experts said. But that doesn’t mean there’s no problem, said Dr. Garen Wintemute, director of the Violence Prevention Research Program at the University of California, Davis. 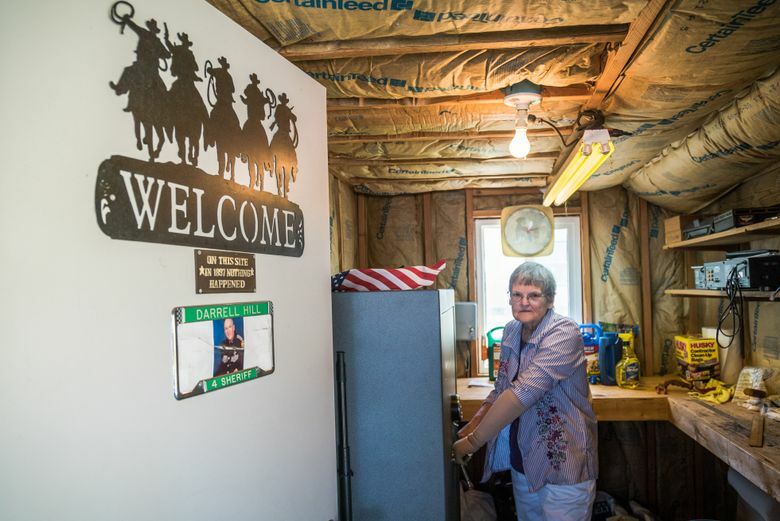 “I hope your intent is not to ‘bash’ us for our beliefs and actions with guns,” said Vergie “Verg” Scroughams, 63, of Rexburg, Idaho, who showed how she hid a loaded gun from her husband, who developed dementia after a stroke in 2009. Verg became worried after Delmar Scroughams, 83, grew angry and erratic this year, waking up in the night and threatening to hit her. It was out of character for the former contractor who previously built million-dollar Idaho vacation homes for families of politicians and celebrities. 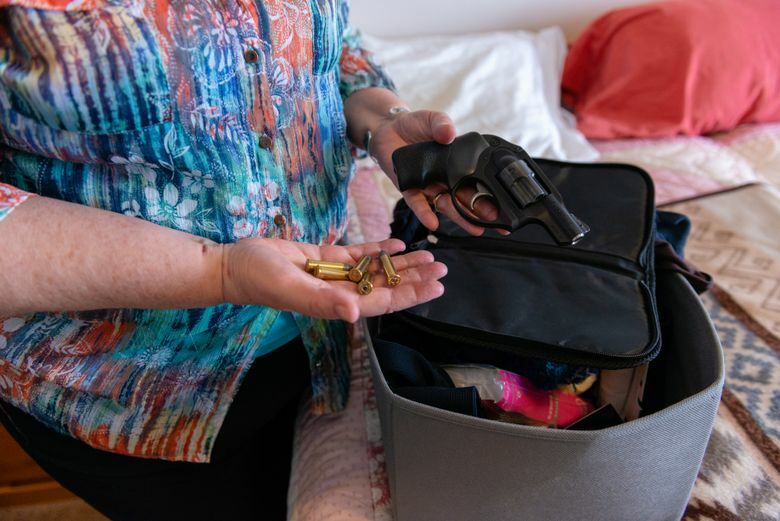 Six months ago, Verg took the loaded .38-caliber Ruger from a drawer near Delmar’s living-room recliner, removed the bullets, and tucked it under socks in a box on a high shelf in her closet. “He’ll never look there,” she said. She doesn’t want Delmar to have access to that gun ― or to his collection of six shotguns locked in the bedroom cabinet. But Verg, a real-estate agent who shows homes in remote locations, doesn’t want to give up the weapons she counts on for comfort and protection. She carries her own handgun in her car. Since the school shooting in Parkland, Florida, in February, more states are taking action to make it easier for families ― including those with a loved one with dementia ― to remove guns from the home. Eleven states, including Washington, have passed “red flag” gun laws that allow law enforcement or other state officials, and sometimes family members, to seek a court order to temporarily seize guns from people who pose a threat to themselves or others. Red-flag bills have proliferated across the country since the Parkland shooting; six were passed this year and six more are pending. In Connecticut, which in 1999 enacted the nation’s first red-flag law, police used the measure to seize guns from five people reported to have dementia in 2017, according to a KHN records review. Last summer, an 84-year-old man with dementia alarmed his neighbors at a senior-living community in Simsbury, Connecticut, by announcing that he had a gun and planned to shoot a bear. The man later reported that his .38-caliber Colt revolver was missing; police found it, loaded, in the console of his car. Police got a court order to seize that gun and a rifle he had in his closet. In Ohio, at one memory-care clinic, 17 percent of patients diagnosed with dementia reported having a firearm in their homes, according to a 2015 Cleveland Clinic study. Every night for weeks, Dillon grew scared that people were trying to break in and burn his house down, Helmandollar said. Dillon slept with a 9-mm semiautomatic Glock pistol at his nightstand in the double-wide trailer he shared with his wife, Sandy, in Princeton, West Virginia. Even after a coal-mining accident left Larry Dillon paralyzed from the waist down, he would hunt from the seat of his four-wheeler. In July 2017, Dillon thought intruders were breaking into his house and grabbed his Glock. He started shooting — and killed his wife. There had been no intruders. Dillon, who was deemed incompetent to stand trial for murder, was diagnosed with Lewy body dementia, a disease whose early symptoms can include vivid visual hallucinations. 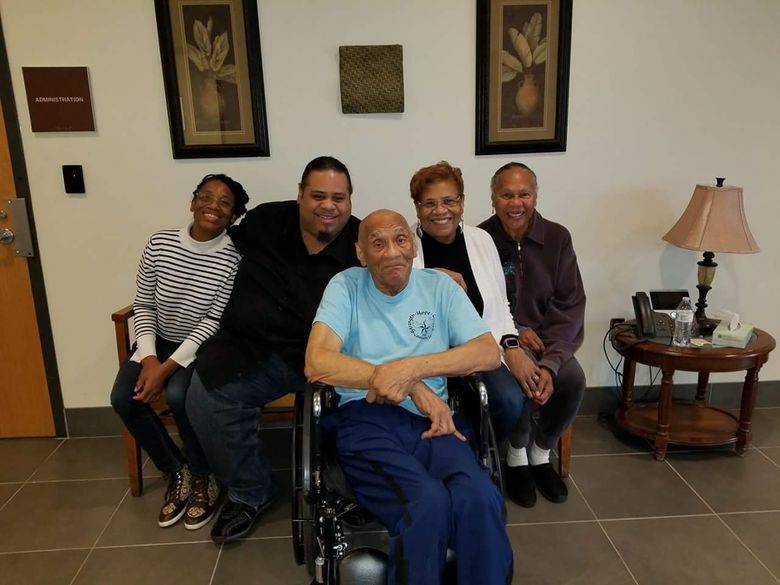 Kenneth Bowser, center, visits with, from left, grandchildren Tonya Cotton and Mark Cotton and daughters Sharon Van Leer and Janet Bowser at a locked state-run nursing home in St. Peter, Minnesota, in 2016. Bowser fatally shot his son and caretaker, Larry, in 2015. Bowser, who had not been diagnosed with dementia before the shooting, was confirmed to have Alzheimer’s and was deemed unfit to stand trial because of his dementia. “I don’t do a blanket ‘guns are bad, you can’t have guns in the home,’ ” she said. For families grappling with these decisions, one option is to establish a “gun trust” that outlines how the weapons will pass to family members once a person becomes incapacitated or dies. These trusts may make it easier for people who must give up firearms in order to move into a nursing home, for instance, said David Goldman, an estate-planning lawyer in Jacksonville, Florida, who said he has drawn up over 20,000 gun trusts. But the process works best when the gun owner complies. Kaiser Health News is a national health-policy news service. It is an editorially independent program of the Henry J. Kaiser Family Foundation which is not affiliated with Kaiser Permanente.